Details Handmade phone case cover. Fit for Apple iPhone X and iPhone XS. 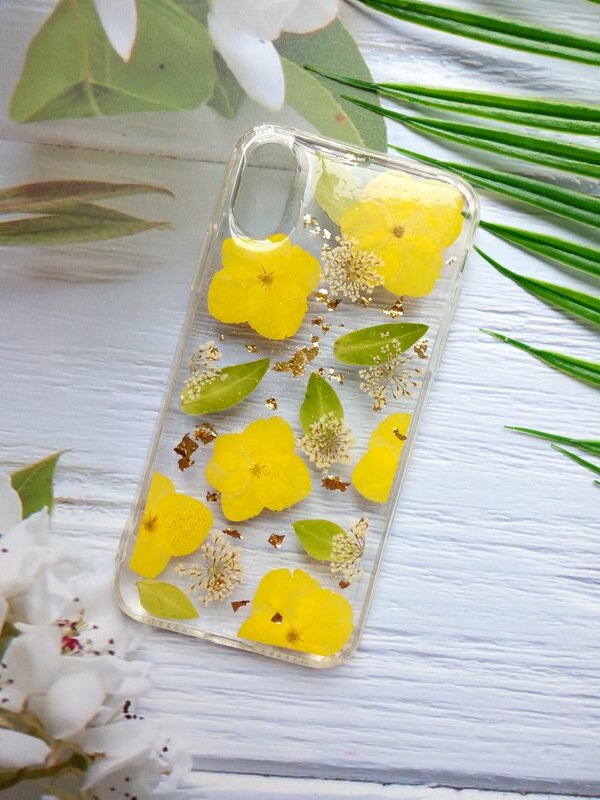 Materials : 1.TPU soft edges + Hard plastic Clear case 2. Real Flowers and Leaves 3. Resin More Info: Each phone case in my shop is made by hand and not a machine. So, it will be has tiny bubbles, bumps and slight imperfections are part of the unique characteristics of the phone case.